Seniors that want to spend their golden years in the outdoor might be interested in West Virginia. Most of the terrain in this state are forests, and a good chunk of the Appalachian Mountains, including lots of magnificent rivers and lakes. This all provides for plenty of outdoor activities like kayaking, hiking, fishing, canoeing, and bird-watching. West Virginia doesn’t have any big cities, so seniors can rest assured they will lead a comfortable life. An additional incentive to move to this state is the low cost of living. If you’re curious about the senior living costs, facilities, and benefits you’ll encounter in West Virginia, you’ll be pleasantly surprised that we have collected the most important information about the senior living options available in the state, including the various support systems that have been put in place, as well as the amenities that each of these have to offer. If you have already decided where in West Virginia you’d like to settle, feel free to use our list of cities below, and locate the nearest senior living provider to the city of your choice. West Virginia has a housing index of 82.80, making it one of the more affordable states for retirement in the nation. One-bedroom apartments have an average monthly cost of $552, compared to the national average of $825 per month. Two-bedroom apartments in West Virginia go for about $678 per month, while the national average price for similar apartments is $1027. If you’re still trying to decide if you truly want to retire in West Virginia, it might help getting informed about the average monthly costs of senior living. First off, seniors that are still able and willing to lead a somewhat independent life within the confines of their homes can call upon the services of home healthcare. This type of senior living has an average monthly price of $3,241. Home healthcare provides seniors with access to professional caregivers that visit the senior’s home and help with housecleaning, meal preparation, and daily tasks. Adult daycare facilities in West Virginia have an average monthly cost of $1,34. For this price, seniors are provided with housing at a supervised facility during daytime and participate in social activities in order to stave off boredom. Adult daycare facilities also offer therapies and rehabilitation, as well as some basic health services. While these facilities provide their residents with health services, these can’t be compared to the skilled nursing care that is offered by nursing homes, so it’s best suited for seniors that are still somewhat healthy and active. West Virginia is also home to several assisted living facilities that are scattered across the country, providing seniors with help with their daily tasks. These facilities provide their residents with personal care and health services, in addition to the amenities that can generally be found in assisted living facilities. The average monthly cost for these facilities in West Virginia is $3,750. Seniors that require a 24/7 care and supervision are advised to take a look at nursing homes in West Virginia. At these facilities, retirees can lead a comfortable life with the help of the attentive caregivers that are provided for them. At these facilities, apart from housing, seniors are provided with extensive care, medications, as well as therapy and rehabilitation. Semi-private rooms in West Virginia have an average monthly cost of $9,703, while seniors that want more privacy can opt for a private room for the average monthly cost of $10,235. Apart from the affordable housing that can be found in West Virginia, the state has lots of other benefits that seniors will enjoy when they move to West Virginia. Below, we have listed some of the more popular ones. A big part of West Virginia are rural areas, and the life here has a traditional approach to everyday living. Seniors that prefer country life will fail in love with West Virginia as some of the pleasurable activities of the residents of this state is mainly fishing and generally enjoying nature. Most towns have low traffic meaning there’s little to no chance of car accidents, and the people are really friendly and supportive of their neighbors. It can be said that West Virginia has something for everyone, so seniors retiring here are sure to lead a diverse life. The historic town Harpers Ferry will allow seniors to explore the picturesque old town feel and looks, with a rare authentic bookstore, ice cream shops, as well as ghost tours. For decades on end, the Seneca Caverns have seen a constant influx of visitors, while the Charles Town racing tracks attract horse enthusiasts from all over the nation. Seniors that would like to test their luck can do so at some of the many casinos around Charles Town. While West Virginia might not be among the top states in terms of tax benefits, it’s pretty close. Social Security income is partially taxed, as are private and public pensions. There’s also a partial tax on withdrawals from retirement accounts. To give you a better idea about the taxes in West Virginia, seniors that have a $40,000 pre-tax annual income will have to pay almost $1,000 in state taxes. When considering retirement in West Virginia, seniors can pick and choose from several senior living options, depending on their own needs and wants. The senior living options that are available are independent living, assisted living, memory care, and nursing homecare. Each of these is further explained down below, so continue reading in order to figure out which is the right one for you. Over 40 independent living facilities are operating in West Virginia. This type of senior living is used primarily by seniors that are still active and healthy, without the need for 24/7 care and supervision. The average monthly cost range for independent living facilities in West Virginia is anywhere from $800 to $3,366, a cost largely dependent on the location of the facility. The more affordable facilities are located in the Beckley area, while the most expensive ones can be found in the Morgantown metropolitan area. Seniors that would rather live in a senior apartment community can do so by choosing one of the many active senior communities for seniors aged 55+ or 65+. At these facilities, seniors will be living among their peers and have access to various amenities like gyms, walking trails, dog parks, pools and jacuzzies, and much more. The average cost range for assisted living facilities in West Virginia anywhere from as low as $1,600 to as high $6,120. 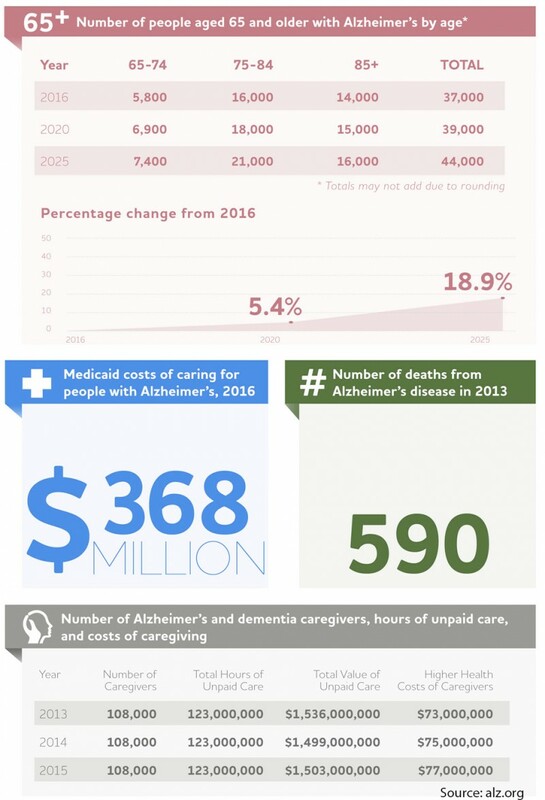 When compared to the national average, The Mountain State’s assisted living facility costs are lower. Lately, there has been an increase in demand for memory centers in West Virginia, mainly because of the increasing number of seniors afflicted by Alzheimer’s, dementia, and dementia related ailments. These centers operate with the purpose of reducing the physical and emotional stress that comes when one gets afflicted by this disease. The staff at these centers has gone through special training in order to help seniors in the middle of mental breakdowns by not remembering who they are or where they are. Over 90 such centers operate in West Virginia, for the average annual cost of $60,291. The most affordable memory care centers can be located in Beckley, for the average annual cost of $54,203, while the most expensive ones are in Morgantown, for the average annual cost of $79,200. The increase of senior population isn’t only affecting West Virginia, but the whole nation. West Virginia apparently got the short end of the stick, since it’s among the states with highest senior population. Its senior population makes up 16% of the overall population, with an expected growth to almost 25% by the year 2035. To make things even worse, the working age population is estimated to decrease by 9% over the same period that the senior population is going to rise. This means less benefits for senior care. Adult daycare has been a popular senior living provider all over the nation, not just West Virginia. About 10 adult daycare facilities are operating in the state, with an average annual cost range of $13,000, a number associated with the area around Beckley. The are locations with more expensive adult daycare facilities though, like Weirton and Steubenville, where these facilities have an average annual cost of $32,000. Seniors that have been diagnosed with terminal illness in West Virginia have found solace in hospice care, where they can live out the rest of their days painless and with dignity. Hospice care centers provide their residents with carefully administered medications in order to help minimize the physical and mental pain and suffering that often accompanies terminally ill patients. Over 20 hospices operate all over West Virginia, and the costs for hospice care can either be mostly or fully covered by Medicare, Medicaid, and private insurances. Seniors whose primary caregiver is a family member often use the services of respite care facilities. There are over 100 respite care facilities in West Virginia and they provide seniors with experienced caregivers that take over the duty from primary caregivers, while they are free to tend to their own daily tasks and obligations, or just need to rest and recuperate. This type of senior care can be used at any time, and as much as needed, be it days, weeks, or months on end. 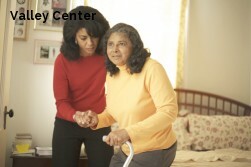 Respite care can either be administered in a specialized facility or in the senior’s home. While costs are known to vary greatly, the average annual cost for hospice care in West Virginia is $92,528. The average monthly costs can range anywhere from $6,960 to $14,790. Hospice of Southern West Virginia, Inc.
Assisted-living-facilities.net will help you to find the best quality Assisted Living facilities in West Virginia. You can also find skilled nursing, memory care facilities, retirement communities and assisted living regulations in West Virginia. Here you can compare ratings and check prices and costs for assisted living. Read reviews and more, with the best directory for Assisted Living Facilities. The state of West Virginia has 221 assisted living facilities. If you're searching for information about assisted living communities in West Virginia, you need to look no further! 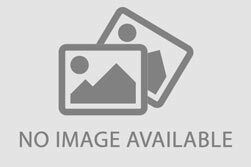 Assisted-living-facilities.net will provide you with the most comprehensive information about the number of 221 assisted living facilities for seniors that are currently available in West Virginia. What you can search and find at Assisted-living-facilities.net? The assisted living services available in West Virginia include in-home residential and assisted living situations, nursing homes, retirement communities, adult day care, and a range of independent living situations, you can also find Alzheimer's and hospice care. Searching in Assisted-living-facilities.net to find information about West Virginia's assisted living communities is simple! Fill the form provided in the site, and someone will contact you. You can use the site in these ways to search and find the assisted living facility or community that is the right one for your needs, and allows you or to your loved one, to live close to friends and family and to enjoy fully. Getting all the support of the amenities that West Virginia has to offer. The average monthly starting costs for assisted living facilities in West Virginia (higher for residents requiring memory care) starts and depends on the level of care the resident. The average monthly cost of assisted living in West Virginia starts from $2,000 to $5,000.